President Donald Trump again criticized the late Sen. John McCain Tuesday, pointing specifically to his vote against repealing Obamacare and saying was “never a fan" and "never will be." 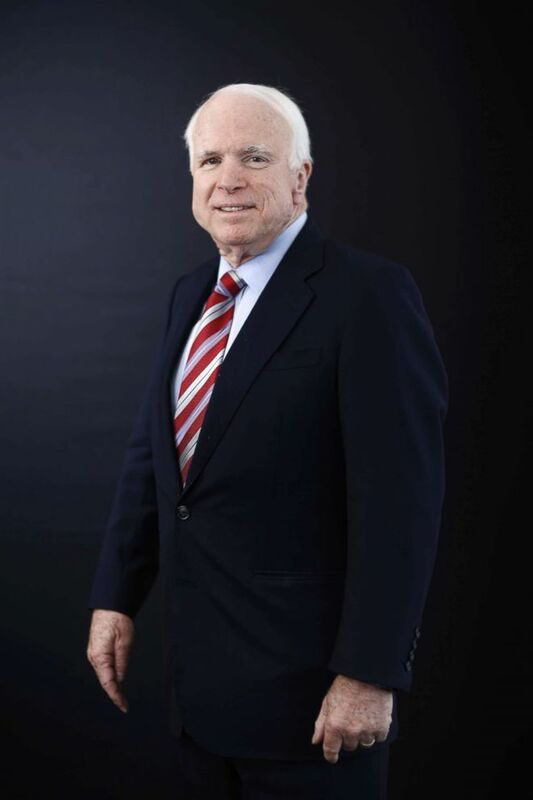 Sen.John McCain poses for a photograph at the World Economic Forum (WEF) in Davos, Switzerland, Jan. 23, 2014. The president's comments came during an Oval Office meeting with the president of Brazil and after a series of weekend tweets in which Trump blasted the senator, who passed away battling brain cancer in last August. 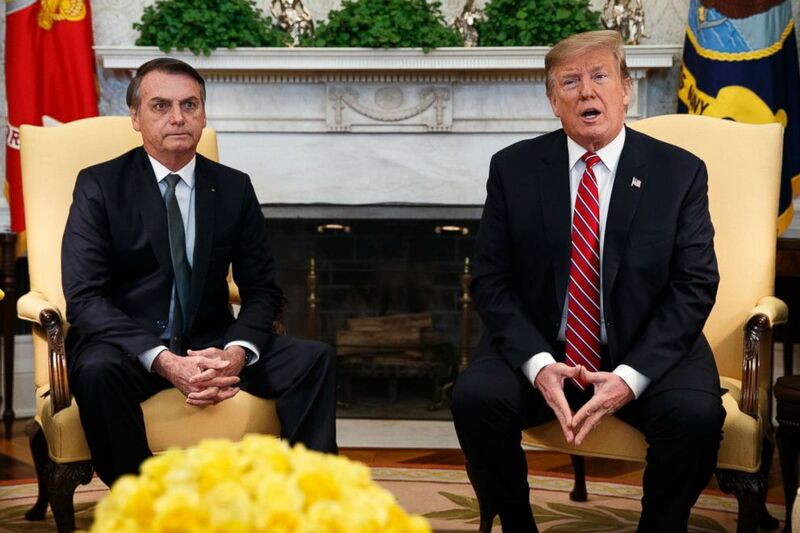 President Donald Trump speaks during a meeting with Brazilian President Jair Bolsonaro in the Oval Office of the White House, March 19, 2019. Trump accused him of “spreading the fake and totally discredited dossier” and of sending it to the FBI and the media “hoping to have it printed BEFORE the Election.” But the president’s claim is not accurate. McCain wasn’t made aware of the dossier until after the election when he passed it on to the FBI. The dossier, compiled by former British intelligence officer Christopher Steele, alleged links between the Trump campaign and Russian officials. Along with other explosive allegations, it alleged that Russians held compromising information about Trump that could be used to blackmail him. On ABC's "The View" on Monday, McCain's daughter Meghan fired back at Trump, saying he "spends his weekend obsessing over great men" because "he will never be a great man" like her father. ABC News' Rachel Scott contributed to this report.